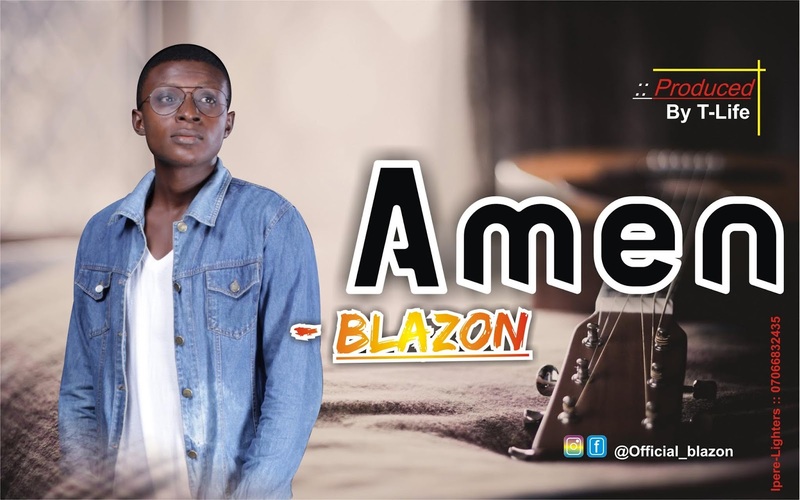 As Promised, And Greatly Anticipated, Highly Rated Urban Gospel and Creative Music Artiste, BLAZON, A Multi-Talented Artiste presents his first official single “AMEN”. With excellent sound engineering to compliment it’s inspirational feel, AMEN is the perfect soundtrack to motivate success this year And Make You #Groove In The Holy-Ghost. Download, enjoy and share #AMEN produced by T-LIFE and Grafted By Ipere Evanx.